Christian Solidarity Worldwide (CSW) has learned that the Public Order Court in El Haj Yousif Khartoum, Sudan, has confirmed Meriam Yahia Ibrahims death sentence for apostasy after she refused to renounce her faith. The court had given the heavily pregnant Christian mother until 15 May to convert to Islam, implying that her sentence could be annulled or reduced if she did so. Mrs Ibrahim was arrested on 17 February 2014, and subsequently charged and sentenced to 100 lashes for adultery and death for ‘apostasy’ (leaving Islam) under articles 146 and 126 of Sudan’s Penal Code respectively, after Sudanese authorities were made aware of her marriage to a Christian man. She is currently detained in Omdurman Federal Women's Prison along with her 20-month-old son, Martin Wani. Mrs Ibrahim testified before the court on 4 March that she is a life-long Christian, producing her marriage certificate where she is classified as Christian as proof of her religion. She was born in western Sudan to a Sudanese Muslim father and an Ethiopian Orthodox mother. Her father left the family when Mrs Ibrahim was six years old and she was subsequently brought up as a Christian by her mother. Three potential witnesses from western Sudan who went to the hearing to testify of Mrs Ibrahim’s lifelong adherence to Christianity were prevented from giving evidence. After the court confirmed the death sentence, Mrs Ibrahim’s lawyers asserted their intention to launch an appeal, a process which could take several months. Concerns about Mrs Ibrahim’s health and welfare continue to be raised. Mrs Ibrahim’s husband Daniel Wani has complained that throughout her incarceration his wife has been prevented from receiving visitors and, more seriously, from accessing vital medical treatment. A family member said: ‘we are concerned for her wellbeing; it is not very safe for her to be in the prison with dangerous criminals’. 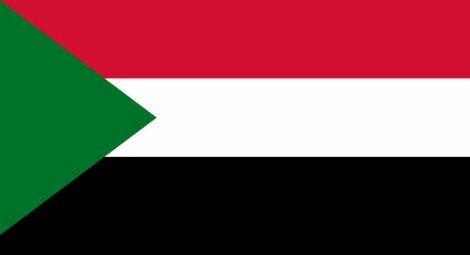 Mrs Ibrahim’s sentence is the latest and most significant in a series of repressive acts by the Sudanese government against religious minorities. If the sentence is carried out Mrs Ibrahim will become the first person to be executed for apostasy under the 1991 penal code, prompting concerns that the charge may increasingly be used against anyone who converts from Islam.